Last weekend we hiked the Pacific Crest Trail from Highway 94 to the Lake Morena Campground. 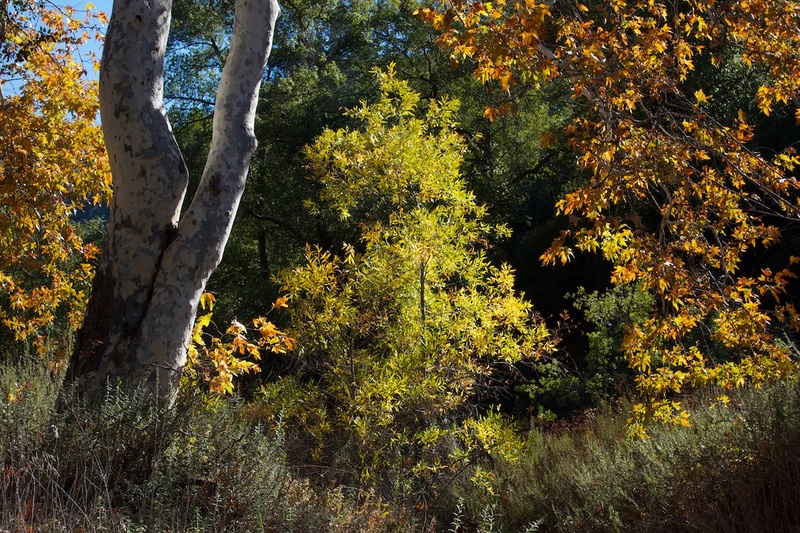 We stopped at Hauser Creek for lunch, and to enjoy the fall colors. After lunch we hiked out of the Hauser Canyon and on to the Lake Morena Campground. No water, Hauser Creek was dry. Is there any water in the creek?